Reviews – What Can You Do. “Her latest collection, What Can You Do? (sic) cements her reputation as a gifted and observant storyteller. I knew I was in very good company when I was out for dinner in late September, and we were talking about books, and every single one of us had something admiring to say about the work of Cynthia Flood. ~ Kerry Clare, Pickle Me This December 5, 2017. As the fifth collection of short stories from an award-winning author, it’s no surprise that What Can You Do is an exceptionally written and thought-provoking read. The twelve stories make up just under 150 pages, and in each one Flood does a masterful job creating a sense of existence for her characters that extends beyond the pages of their story. 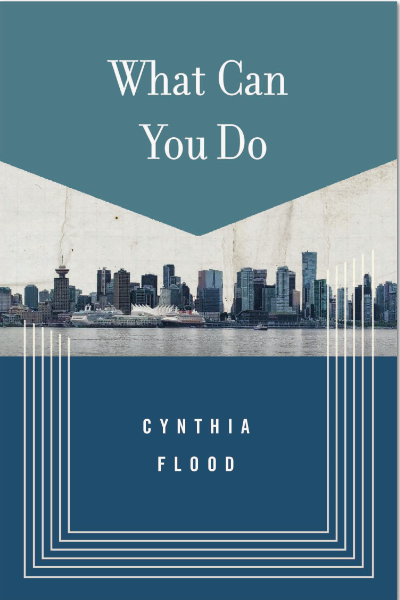 The prose of short story writer Cynthia Flood is sharp, minimalist and concise. Her 2013 collection Red Girl Rat Boy was shortlisted for the Ethel Wilson Fiction Prize. Her latest book, What Can You Do, is a collection of 12 short stories that features flawed characters who are emotionally broken and adrift. Magic 8 Q & A with CBC Books. Read the interview.